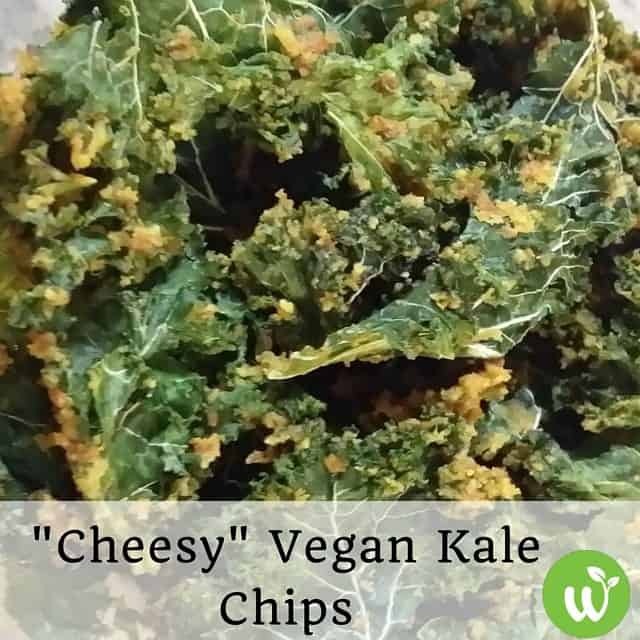 A delicious Kale chip recipe I created after finding a spicy, cheesy tasting Kale chip variety on a road trip. These Kale chips never last long in our pantry, if they even make it there! Soak nuts in water with 1 tsp of salt overnight or 8 - ­12 hours. Drain and Rinse. Rinse Kale and tear into sections. I use a salad spinner to get the extra moisture out. Combine nuts and all ingredients except for Kale in a food processor or Vitamix. Place 1⁄4 of the Kale in a large bowl and top with 1⁄4 of the mixture. Using your hands, squish the mixture into the kale until coated. Place onto your food dehydrator trays by the handful and repeat with remaining Kale. Dehydrate between 115 - ­125 degrees for 8­ - 16 hours or until crispy. Store in an airtight container for up to 7 days. Although it never lasts that long in our home!